Located some 290 km to the south of Hanoi and in the center of northern Central Vietnam, Nghe An province borders Ha Tinh province in the south, Thanh Hoa province in the north, Lao People’s Democratic Republic in the west with a borderline of 419 km and the East Sea in the east with a coastline of 82 km. Covering 16,490.25 square kilometers and having a population of more than 3.1 million, Nghe An is the largest province and the fourth most populous locality in the country, following Hanoi, Ho Chi Minh City and Thanh Hoa province. The province is situated in the East-West Economic Corridor linking Myanmar, Thailand, Laos and Vietnam and has a provincial city of Vinh, three towns and 17 districts. Chairman of Nghe An provincial People’s Committee Nguyen Xuan Duong said that in order to develop Nghe An into a hub of finance, commerce, tourism, education-training, science-technology, healthcare, culture, sports and hi-tech industry in the northern central region, the province found it extremely necessary to better its investment environment to attract domestic and foreign investment, focusing on promoting a number of industries with high scientific and technological contents and high added value, and clean, energy efficient and environmental friendly support industries. To meet requirements of enterprises and investors, the province has gradually improved a synchronous infrastructure system to facilitate travel and goods circulation. A number of projects to upgrade and expand National Highway 1A, build a flyover on National Highway 46 crossing the North-South railway and Vinh city bypass have been completed. Regarding cargo transportation, the construction of a container terminal in Cua Lo port’s wharves 5 and 6 commenced on April 3 is expected to accommodate container vessels of a tonnage of up to 30,000 DWT once commissioned in 2016. Cua Lo port will be the first international seaport in northern Central Vietnam that can serve direct shipping routes to Hong Kong and Singapore. Together with the upgrading of Cua Lo port, Vinh city airport will be turned into an international one under the Civil Aviation Administration of Vietnam’s project on expansion of airport apron and car parking lots worth around VND 1.2 trillion (USD 57.12 million). Its newly inaugurated lotus-shaped terminal has four boarding gates and 28 counters capable of serving some 1,000 passengers in peak hours and three million passengers a year. In addition to one international air route to Laos’ Vientiane and five domestic flight routes to Hanoi, Ho Chi Minh City, Da Nang, Buon Ma Thuot and Da Lat, Nghe An provincial People’s Committee has recently proposed opening of new flight routes between Vinh city and Cam Ranh town and Taiwan (China). Nghe An is now home to Cua Lo (40.55 ha), Bac Vinh (143.17 ha), and Nam Cam (327.83 ha) industrial parks. The Prime Minister has permitted the province to adjust the area of its southeastern economic zone to over 20,000 hectares by merging Hoang Mai and Dong Hoi industrial parks into the zone. At the Spring Meeting with investors on March 4, Nghe An provincial People’s Committee signed and granted investment licenses to 21 investment projects with a combined registered capital of VND 20.7 trillion and USD 138.5 million. 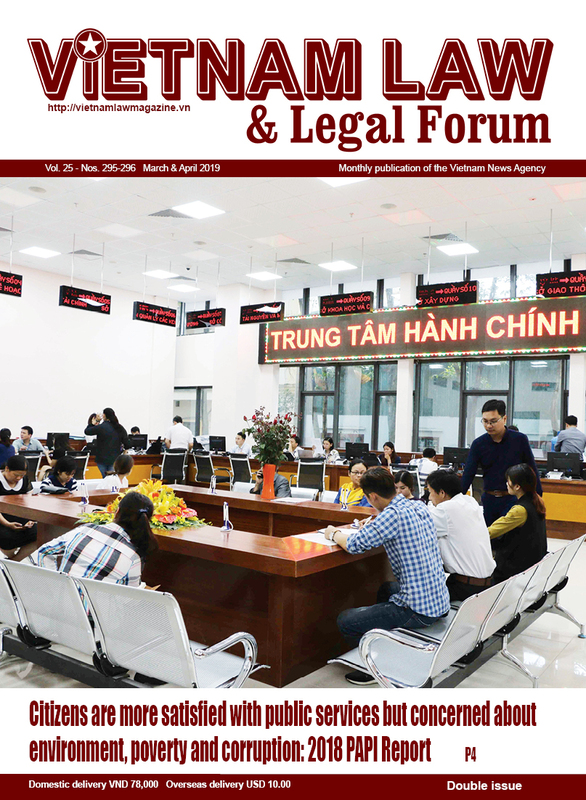 By March 15, 2015, the province has licensed 41 projects worth VND 6.5 trillion and permitted three existing projects to supplement a total registered capital of VND 221.6 billion. It currently has 776 ongoing licensed projects, including 733 implemented by domestic investors with a total investment of some VND 164.9 trillion. 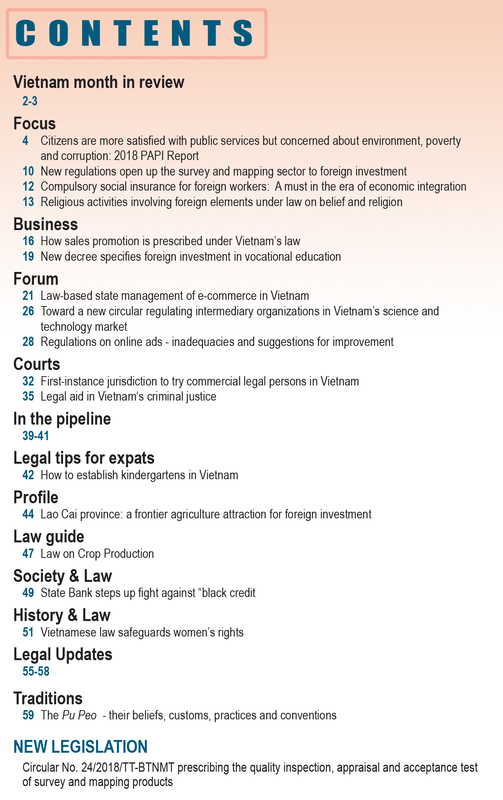 Other 43 projects are capitalized with a total foreign investment of VND 1.61 billion. Some major operational projects in the province include dairy cow farming and milk processing by the TH-True milk company, the Sabeco packaging factory and the Ban Ve hydropower plant. With its recent investment attraction strategy, Nghe An hopes to lure around VND 100 trillion (USD 4.65 billion) from now until 2020, half of which will be invested in foreign direct investment projects. Particularly, it expects to attract at least 100 projects with a total registered capital of VND 20 trillion (USD 952.38 million) this year. It pledges to prioritize projects on export production, mechanical engineering, building material production, trade and tourism services, hi-tech agriculture, and forestry extension. 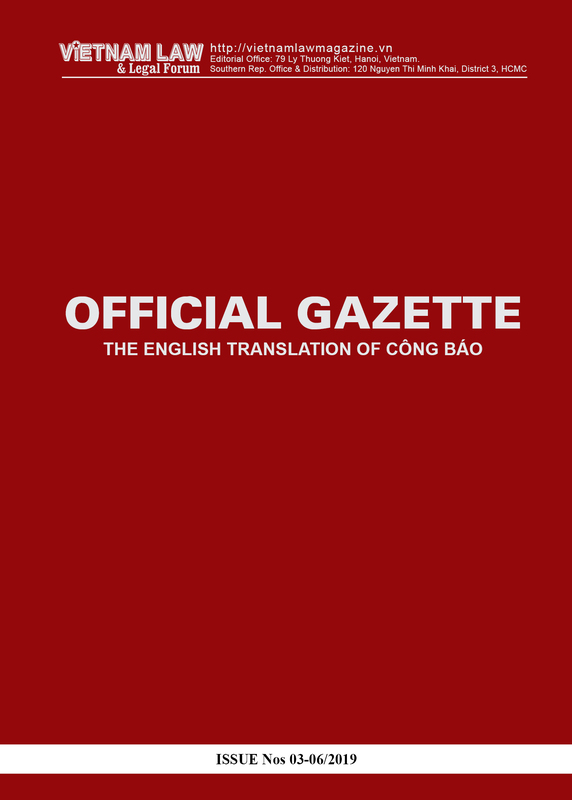 The province plans to seek foreign partners with experience and financial strength such as groups, corporations and big companies across the country and from developed economies like Canada, the EU, France, Germany, Israel, Italy, Japan, the Republic of Korea, Singapore, and the U.S.
Chairman of Nghe An provincial People’s Committee Nguyen Xuan Duong has put forth a number of solutions for the province to achieve the 2015 targets, including enhancing the state management of investment promotion activities under Prime Minister Decision No. 03/2014/QD-TTg dated January 14, 2014; and providing timely support to major partners and projects of conglomerates such as the Becamex Binh Duong, Vietnam National Textile and Garment Group (Vinatex), the Republic of Korea’s Lotte E&C, and other Japanese and South Korean investors in the process of investment promotion and promptly complete relevant procedures and remove difficulties whenever they decide to make investment. He also emphasized the necessity to combine the province’s investment promotion activities with investment promotion programs of the country, ministries, sectors and other localities and to hold regular dialogues with investors for hearing their recommendations and addressing their problems, especially those related to provincial investment policies. At present, investment projects in the province’s southeastern economic zone are entitled to corporate income tax exemption for four years since generation of taxable income and 50-percent tax reduction in subsequent nine years and import duty exemption for five years since manufacture of raw materials, components and semi-finished products which are unavailable at home yet or fail to meet quality standards. Nghe An province, the homeland of late President Ho Chi Minh, is endowed with great tourist potential. Its tourist attractions include long beautiful beaches with high-class seaside resorts in Cua Lo and Bai Lu, Pu Mat National Park and the UNESCO-recognized Western Nghe An Biosphere Reserve with primitive rain forests. According to Deputy Director of the provincial Culture, Tourism and Sports Department Nguyen Manh Cuong, the province is home to 1,395 historical relics, including the Cuong temple worshipping ancient King Thuc An Duong Vuong, Hoanh Son Pagoda worshipping Ly Nhat Quang who explored Nam Dan district, Nu Su Pagoda, and the historical relic in Kim Lien, the native village of President Ho Chi Minh - a national liberation hero and a UNESCO-honored world cultural figure. 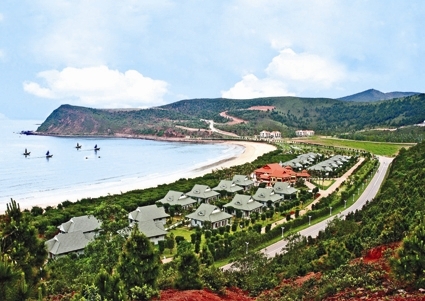 Nghe An is also widely known for 24 cultural festivals, including those of ethnic groups of H’Mong/Mong, Kho Mu and San Diu, and traditional craft villages such as Xuan Nha bamboo knitting village in Hung Nguyen district, Nho Lam smith village and a stone-carving village in Dien Chau district. According to a report of the provincial Planning and Investment Department, the province welcomed more than one million tourists in the first quarter of this year, including over 5,000 foreigners, and earned a turnover of VND 286 billion. The province is expected to welcome 3.5-4 million tourists this year and 5-5.5 million tourists, including 150,000 foreigners, by 2020.